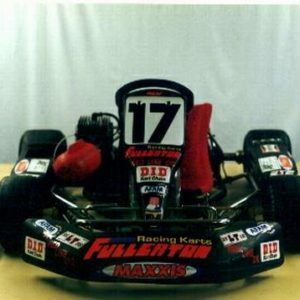 After removing the front wheels, place the front of the kart into the fixture with spindles resting on the fixture pins. You then disconnect one of steering links and tighten the fixture clamps against the spindles.Place the driver into the kart. Then all you do is reattach the steering link until it falls into hole. The kart spindles are now set to precise zero toe angle, with chassis flex removed by having driver placed in the kart. Guaranteed more accurate then a laser. You can now turn one tie rod on each link and dial in toe angle to whatever you need. Record the turns and you can dial in a kart for any track. 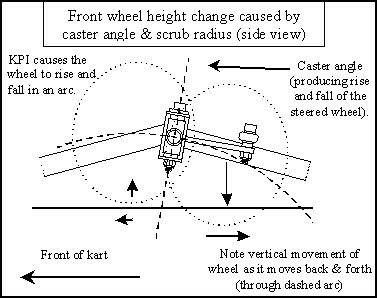 As for rear axle alignment, while the kart is in the fixture, simply measure distance from fixture to rear axle on both sides, for equal measurements. Adjust rear axle unitl measuerments are equal. 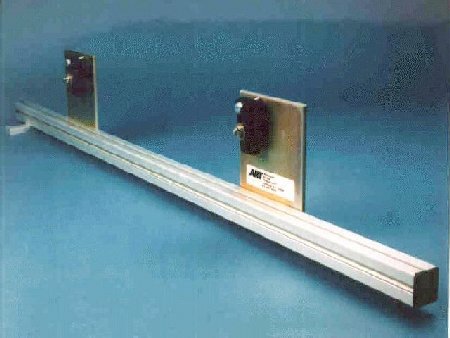 Initial testing showed an increase in straight line speed by using the rear axle fixture to provide proper setup.